Much is being made of the revolutionary prospects that 3D printing may provide in certain industries. They arrived on the scene a few short years ago and we’ve all seen and heard about the weapons that are being made from 3D printed parts. The possibilities are immense on what can be built through the use of this technology. Around the world attention has been on the building industry with several ‘homes’ already being constructed using 3D printing technology. 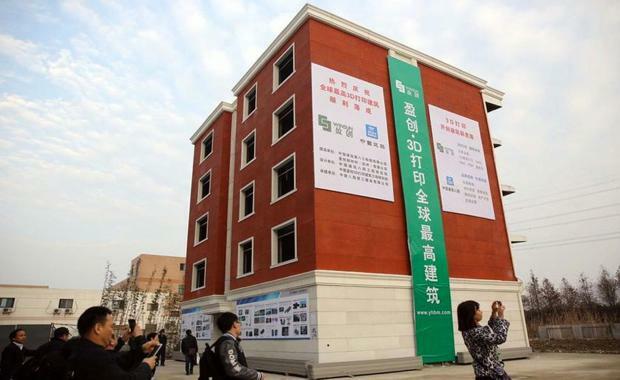 A Chinese company Winsun this year reportedly built 10 printed houses in a day for about US$5,000 each. One of the sectors that could benefit the most might be in the broad production of affordable housing. On a broad scale the mass production of housing using 3D printing could be done fairly quickly and using recycled material and construction waste instead of thermoplastics a common material used in 3d printing. But will it work especially in an economic sense?Professor Behrokh Khoshnevis a researcher at the University of Southern California told news.com.au that “One should realise that initially 3D printing can build the basic shell of the building. There is much more that goes into a house,” Prof Khoshnevis said. He said realistically, 3D printing could make building a traditional home about 10 per cent cheaper. But for simple houses, such as low income or emergency shelters, the savings could be much higher he told the news site.